We have circulated the hideous antisemitic caricatures published in his regime’s media outlets. We have pointed out that he and his henchmen have repeatedly said not one Jew would remain in such a state of Palestine. We have referred to his repeated attempts to write the Jews out of their own history by denying their historic connection to the land of Israel, a central feature of the Jewish religion. To all this, successive American, British and European governments remained indifferent and continued to treat this antisemitic fanatic as a rational interlocutor. Than along came President Donald J Trump, who recognised Jerusalem as Israel’s capital. Although he left open the possibility of a separate Palestinian state with a presence in Jerusalem, he explicitly acknowledged the unique historic connection between the Jewish people, he city of Jerusalem and the land of Israel. He also said the US would cut the funds it provides for UNWRA’s perpetuation of the fictional Palestinian refugees, whose unique and false designation is crucial to perpetuating the Arab war against Israel. In other words, he exploded the Palestinian Arab lie which underpins the whole conflict: that the Palestinians are the true inheritors of the land and the Jews have no rights there at all. 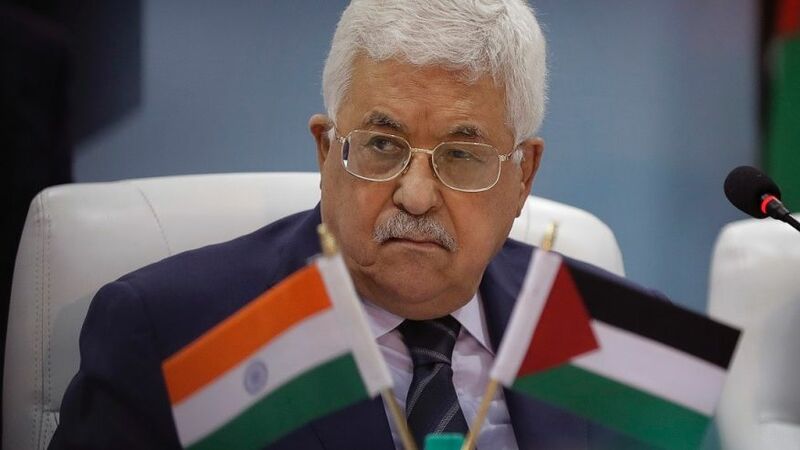 Now Abbas has come out in his true colours in an utterly vile and deranged speech yesterday to the PLO central council. He ranted and raved that Israel was a “colonialist project that had nothing to do with Judaism”. In fact, the land of Israel is absolutely central to Judaism, and the Jews are the only people for whom Israel was ever their national homeland. Far from the two-state solution which the west chooses to believe Abbas supports, he was saying the Jews are not entitled to be in Israel at all. Even more tellingly, Holocaust denial was back on Abbas’s agenda as he claimed obscenely that the Jews of Europe, of whom six million were murdered by the Nazis, chose to remain in their home countries during the Holocaust rather than emigrate. Of course, the fact is that most Jews were trapped in Europe where they were slaughtered. Thousands could have been saved had they been allowed to come to Palestine, but the British prevented them from doing so in flagrant contradiction of their legal obligation under the Mandate to settle the Jews in the land. “Ben-Gurion did not want Middle Eastern Jews to come [to Israel]…but when he saw the vast land, he was forced to bring Middle Eastern Jews… that didn’t want to come. From Yemen they flew 50,000 Jews…They didn’t suffice with 50,000 Jews. Then they went to Iraq, which had large reserves of Jews”. He further mendaciously claimed the Israelis cut deals with Iraqi politicians “to take away the citizenship of Jews and force them to emigrate.” “They did not suffice with this and gathered all the Jews in Arab countries, from Morocco to Algeria and Tunis, Libya, Egypt, Syria and Lebanon,” Abbas said. This outrageous speech was almost certainly prompted by the fact that Abbas and co realise that with Trump the game is now up. The US will no longer promote the interests of these Palestinian Arabs who have been given a free pass for their murderous lies all these years. But Britain and the EU did not go along with Trump’s recognition of Jerusalem as Israel’s capital. They continue to misrepresent international law and blame Israel falsely for preventing a peaceful solution to the Middle East impasse while persistently excusing, justifying and thus conniving at Palestinian Arab rejectionism. In short, Britain and the EU continue to support, validate and this connive at an agenda aimed at the extermination of Israel promoted by hallucinatory lies and libels about the Jewish people along with gross Holocaust denial. Abbas’s speech should be sent to every member of the British parliament, and the Prime Minister, Theresa May, should be asked how Britain can continue to give any money at all to such open antisemites and Holocaust deniers. She should be asked how the British government can continue to support giving such people a state of their own. She should be asked why the British government has ignored this horrifying reality, and the constant mortal danger it poses for the Israelis, for so long. But then, many British people will be unaware of the appalling nature of Abbas’s speech since the BBC chose to bowdlerise it, as BBC Watch observes here. Abbas clearly felt he had nothing to lose by making this speech. America has made clear it will no longer give the time of day to such an unconscionable agenda. Only Britain and the EU continue to keep it alive, to their undying shame.